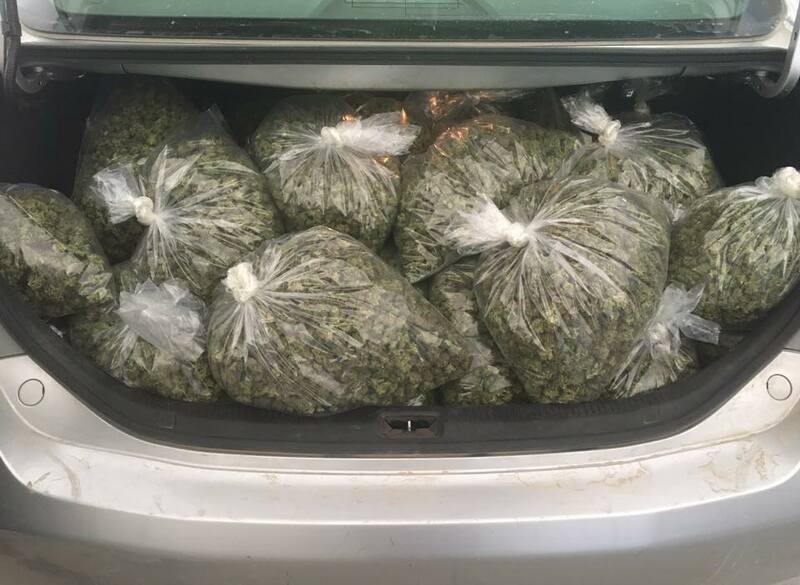 A trunk loaded with pot on one of Helios Daypring’s company’s Facebook pages. Editors Note: Since the legalization of marijuana, allegations of bribery, human trafficking, black market sales and money laundering have surfaced. The issues involved are complex and the profits are huge. Several public officials are accused of accepting bribes and entering into close relationships with several marijuana business owners. A series of stories over the next week will examine the allegations and provide information that explains what has happened in the Central Coast. Dayspring is involved in more than a dozen marijuana grows, a Grover Beach pot shop and other marijuana enterprises that are part of the multi-billion dollar legal marijuana industry for California growers. But legalization also sent prices plummeting as consumers no longer had to pay prices that drug dealers charged. In California, a pound now sells wholesale for about $1,200 to $1,300, while out-of-state traffickers command approximately $2,000 a pound. At the same time, regulatory requirements in California can add $450 a pound in cost to marijuana farmers. California grew more than 13.5 million pounds of marijuana last year. But only 2.5 million pounds were consumed statewide. The vast majority was trafficked to states where marijuana is still illegal, according to California’s Department of Food and Agriculture. Selling marijuana across state lines is illegal under federal and state laws. Several of Dayspring’s former marijuana grow employees say that he routes marijuana to Los Angeles, and from there to the Midwest and the East Coast. Dayspring sends hundreds of pounds with drivers in trucks or cars to LA a couple times a month, said Tony Brocking, a former employee of Dayspring. One of Dayspring’s partners on several grows, Knut Siegfried, said the allegations are untrue and they do not traffic marijuana out of state. Cannabis growers, even legal ones, have problems with their finances. Banks that handle money from marijuana sales can be charged with money laundering under federal law and won’t finance or accept accounts from growers. The problem is even bigger for growers who illegally traffic in marijuana. Legal sales have a paper trail and growers can show where their money comes from. That does not happen when a grower is selling marijuana at the higher prices brought in from drug dealers. Some illegal cannabis entrepreneurs funnel cash proceeds through retail or service businesses, while others money launder through real estate purchases and phony loans. 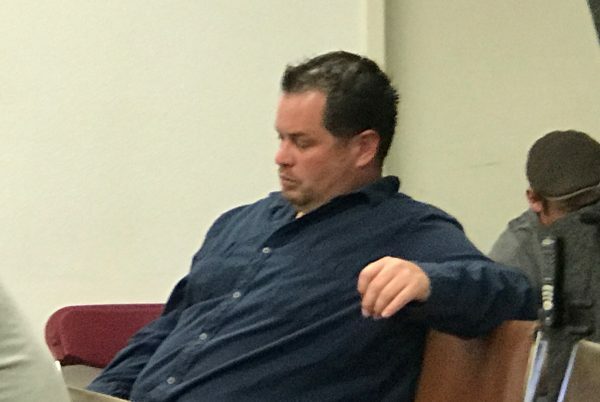 A handful of his former grow employees said Dayspring launders his marijuana proceeds through several real estate schemes including paying cash under the table for properties, putting properties in other people’s names and receiving phony loans on the properties. The former employees identified more than a dozen Central Coast properties linked to Dayspring. County records show many of the properties that Dayspring has bought were purchased for well below market value. One such property came on the market after Thomas Yanaga shot and killed Marshall Savoy in 2015. During Yanaga’s trial, he and his wife tried to sell a three-bedroom home they owned on 3.51 acres on San Gregorio Road in Atascadero. Even though the county assessor valued the property at $704,176, county records show the property sold for $303,000 in 2015. Several of Dayspring’s former workers said he paid $650,000 in cash for the property. And while Dayspring has claimed ownership of the property, it was purchased in the name of Luis Gonzalez, an associate of Dayspring. After CCN reporters began investigating the purchase, an attorney for Dayspring contacted CCN to pass information from Dayspring, that he only paid the $303,000 that county records list as the sales price. Helios Dayspring at a Grover Beach Council meeting. In Feb. 2017, seven men broke into Dayspring’s San Gregorio home and held him at gunpoint while they tied him up. The robbers then snatched 885 pounds of medical marijuana and $139,000 in cash, according to court records. In Jan. 2014, Dayspring purchased 90 percent interest in a two bedroom home on 40 acres at 7840 Cougar Ridge Way in South San Luis Obispo County for $378,000. A year later, the remaining 10 percent was deeded to Dayspring, though no price was included on the deed, according to court records. In 2005, the 7840 Cougar Ridge Way property had sold for $890,000. On the Central Coast, agricultural land generally sells for approximately $20,000 an acre, said Debbie Peterson, a local real estate broker. In Northern Santa Barbara County, where several of Dayspring’s grows are located, a 50 acre parcel was recently listed for sale at $200,000, or $4,000 an acre. But Dayspring has been able to purchase land for as little as $844 an acre. On Sept. 14, 2016, Dayspring purchased 120 acres in northern Santa Barbara County for $100,000, or $844 per acre. A month later, on Oct, 31, 2016, Dayspring and one of his frequent partners in the cannabis industry purchased a 40-acre property in Northern Santa Barbara County for $40,000, or $1,000 an acre. When asked about the money laundering allegations, Siegfried said that they do not launder proceeds, they are just able to buy property cheap. Dayspring returned a request for comment, but hung up on a reporter before answering any questions. Good for you Cal Coast News for covering this massive corruption. Why won’t New Times cover this? According to them the working man is happily living in solar tiny houses and the whole family is smoking totally harmless weed grown by a perfectly responsible industry. And can you believe Drumpf omg those republican fly over states har har we’re so progressive and correct. “A series of stories over the next week…” When will we see the rest of the series? Please publish the article on all the players soon CCN! I have a $20 bet with a friend that two of the people accepting bribes on this project are Adam Hill and John Shoals. How much do you want to bet Adam Hill is one of them? Likely but clearly Mayor Shoals and Jeff Lee of Grover Beach are better bets to being dirty. Shoals and Lee are obviously on the take, but no one is more prone to corruption than Adam Hill. Let’s keep it real. Does SLO County want to be known as the center of the California cartels? Why is the county increasing the size of pot grows while the state says the bulk is being trafficked out of state? Why are they not supporting the mom and pop growers who have been growing for years? I bet Heidi Harmon will hand the entire industry over to Amazon.com because destroying mom and pop businesses is progressive. She’s thinking globally while acting locally. 2 days ago the Grover Beach Planning Commission approved Helios’ application to construct 6 buildings totaling 114,894 square feet to lease out for cultivation, manufacturing, and distribution of cannabis and cannabis related products. They also approved his crony, Sheldon Moseley, to cultivate, distribute & manufacture recreational & medical use cannabis at units D&E at 750 Farroll Rd. It seems entirely likely that Mayor Shoals is greasing his palms as he slithers out of office.